As a mother, you know very well how important is loving care you provide your child with. Skin of a young human is exposed to many dangers, as it’s extremely delicate. It has to be assisted all the time to face all the threats since it hasn’t developed the self-protecting function yet. Baby’s skin is 5 times thinner and more delicate than an the adult’s. It loses moisture faster and becomes dehydrated easily. And this is the reason why selection of proper cosmetics is so crucial. Unfortunately, the products that are widely available in pharmacies aren’t completely free from chemicals and preservatives. For that reason, it is considered best to go for a natural, totally safe and universal product, which is sweet almond oil. How can we use it in day-to-day baby skin care? — First of all, you have to remember that decent oil is the one that underwent cold-pressing process, is 100% ecological and natural; the one extracted from sweet almond nuts. Only this kind of oil will take tender care of your child’s body skin. — Sweet almond oil can be also used instead of ointment for diaper dermatitis. Apply it regularly to your baby’s bum. Sweet almond oil is absorbed fast. — A crumb of oil added to the baby’s bathtub makes hard water soft and delivers moistening to the kid’s skin. 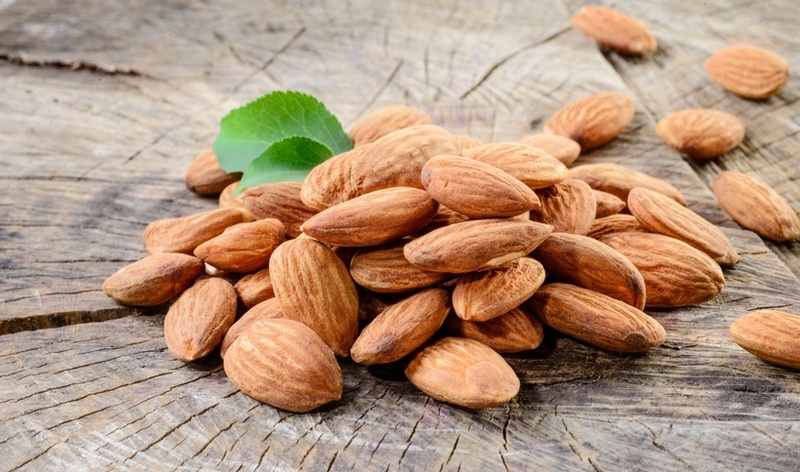 What is more, thanks to almond oil your child’s skin will get a thin protective coat. — If you are the parent who happens to struggle with cradle cap, apply sweet almond oil to your child’s scalp. Cover the parts that are affected with this problem. It would be best if you let the oil sit a few hours or even the whole night. In the morning, comb out the cradle cap and wash the head of the new-born. Do the procedure twice or three times per week, until the problem disappears completely. — There’s nothing more precious for a young being than tender touch of mum and dad. Children learn the new, interesting world mainly through the skin. Giving message to a new-born using sweet almond oil will be a real treat for their senses. You can relax your child this way right after bathing. — Sweet almond oil has yet another advantage. Its universality makes that you don’t have to scan pharmacies to find several products, each coping with different skin problem. As you can see, sweet almond oil might successfully replace a baby oil, a diaper dermatitis ointment, a balm and a cradle cap preparation.